Lovely First Communion Crucifix measures 8" in height. 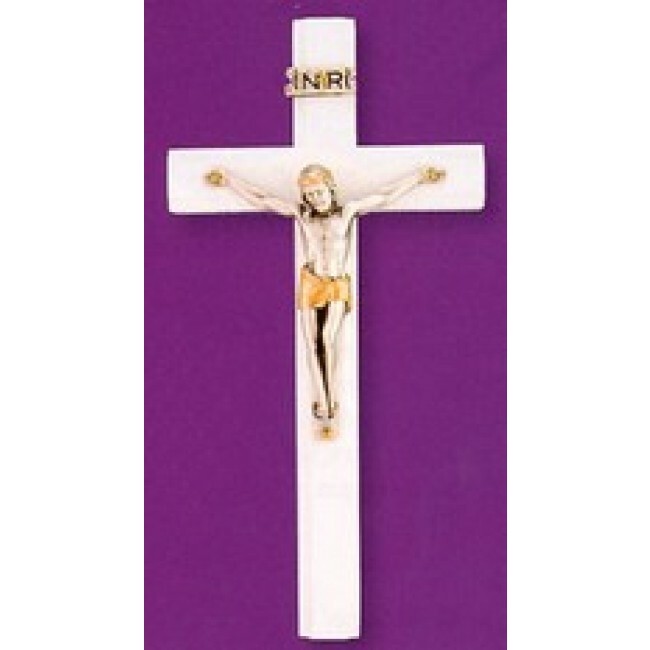 White wood crucifix is adorned with gold accented silver corpus. A beautiful gift for that "Special Day" that will last a lifetime. You're reviewing: White Crucifix 8"